First introduced in 1996 as the ref. 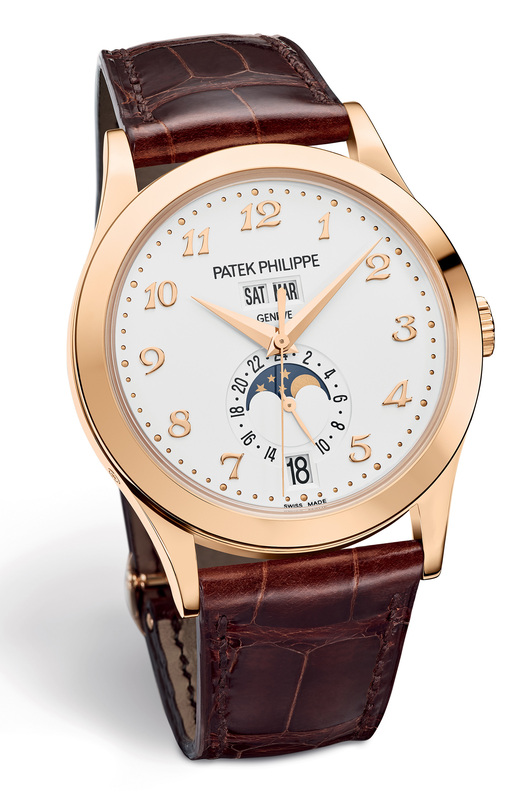 5035, the annual calendar has become Patek Philippe‘s bestselling complication. 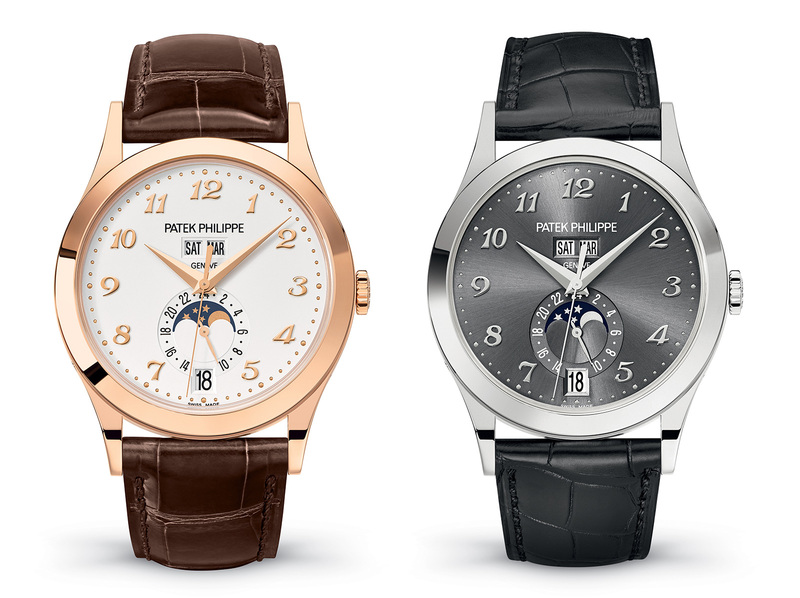 To commemorate the 20th anniversary of the annual calendar at Baselworld 2016, Patek Philippe has given the classical ref. 5396 annual calendar a makeover. One of the most traditional of the brand’s annual calendar watches, the ref. 5396 is distinguished by the twin apertures for the day and month, and the moon phase display at six o’clock – a layout that is reminiscent of the refs. 3448 and 3450, two of the great Patek Philippe perpetual calendars of the late 20th century. The face-lifted ref. 5396 looks even more classic, with the most significant change being the solid gold, applied Breguet numerals for the hours, a feature typically reserved for limited editions when used on Patek Philippe watches with complications. Those are paired with dauphine hands for a look that harks back to classic Patek Philippe watches of the mid-20th century. The case remains the same as that on the existing version of the ref. 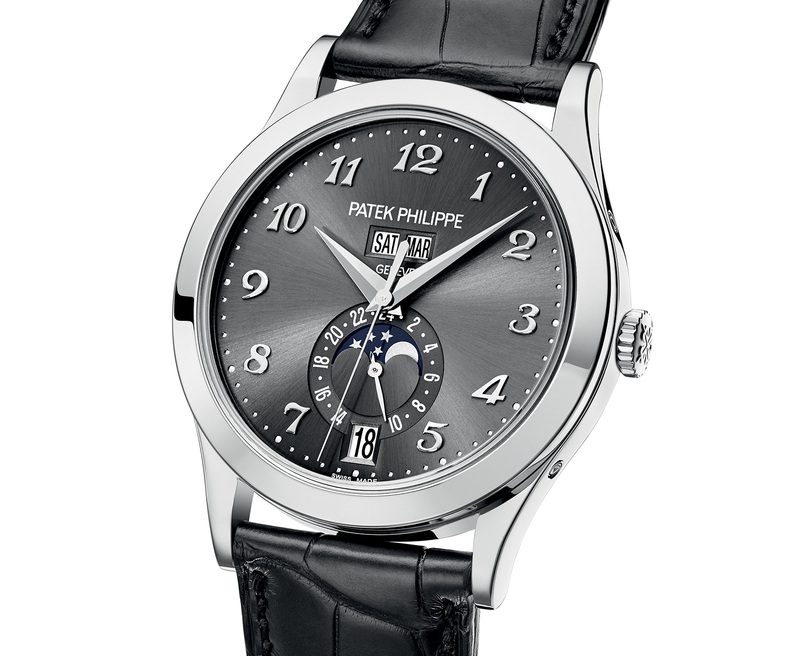 5396, measuring 38.5 mm in diameter and typical of Patek Philippe, a slim 11.2 mm high. Inside is the 324 S QA LU 24H, a self-winding movement with a silicon hairspring. Two variants of the new ref. 5396 are available. The first is rose gold with a silver dial, the ref. 5396R-012. And the second is the white gold ref. 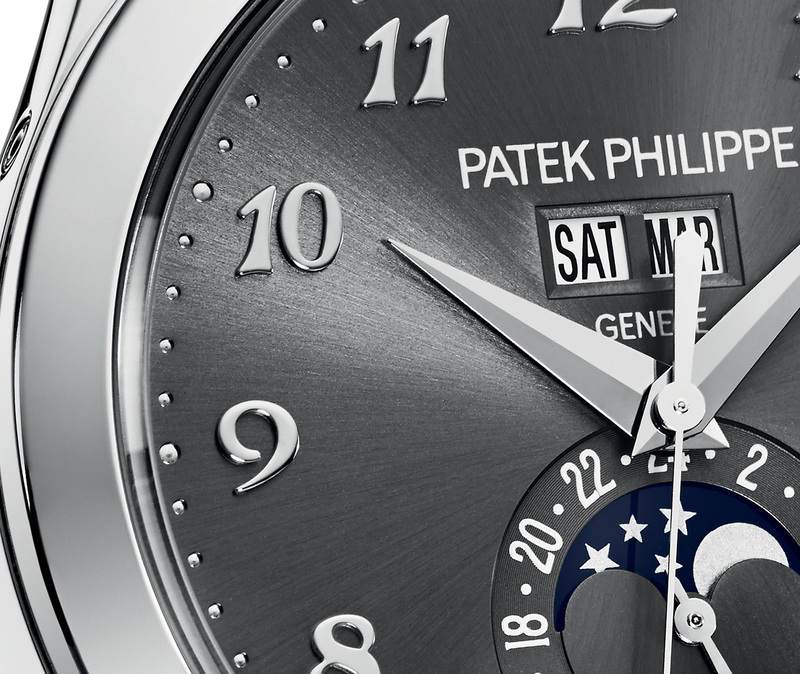 5396G-014, featuring a dark grey dial finished with sunburst brushing. And note that both the existing, baton-marker versions of this model, the refs. 5396G-011 and 5396R-011 will remain in the catalogue. The new ref. 5396 will retail for SFr42,300 including taxes, same as the existing versions of the reference. Update March 17, 2016: Official price in Swiss francs added. Correction March 29, 2016: Model reference error amended.